Creag Mohr Bothy is about seven miles from Croick, close to the track which takes you eventually through to Ullapool, or alternatively down to the Oykel. It in the banks of the Glascha Burn and can be seen from the main track. To reach it either requires wading the burn, which is normally quite shallow at this point, or there is a bridge a little downstream. Walkers are welcome to use the bothy. It has been re-roofed and is water and wind proof. There is a fireplace and we try to keep a store of dry timber available, though there are no guarantees. We would though ask anyone who uses it to follow the following simple bothy rules which are posted inside. Parties staying at the Old Manse might also want to think about Creag Mohr, either as the destination for a day’s walk or as an overnight adventure. It is a perfect location for a teenage night away. As it get dark you will see deer come close to the bothy (if you are quiet!) and the river runs past the bothy and is a good place to catch your supper, or just splash around. And if you have used it, please let us know about your stay! Have had a fabulous few days there this week with Dornoch Academy Bronze DofE pupils as usual. Thanks for a wonderful spot!! Irene, I’ve seen the groups passing through and looking cheerful. Any stories or pictures worth sharing. Hello, how is it that I and my friends would be able to get to the bothy? Thanks! It is at the far west of the strath, about 500 metres from the track across the river. The river is usually low enough to cross without getting too wet. 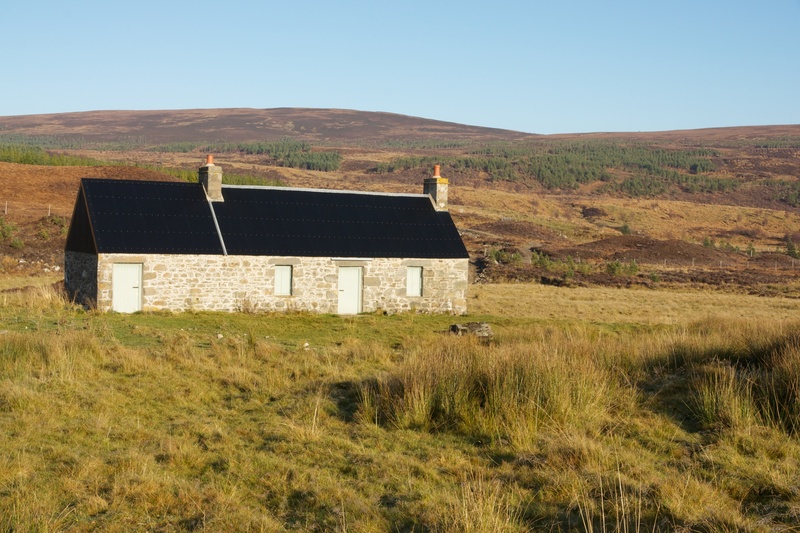 Is the bothy open during the forthcoming stalking season or do you use for estate purposes? We are not looking at hill walking, just a cycle in and stay with my young son. Hi, thanks for asking. The bothy is open all year round. It is very basic, but dry and good shelter. Enjoy. There may be stalking around that time and we will keep an eye out if in the area. Great place. Very beautiful. Thank you.